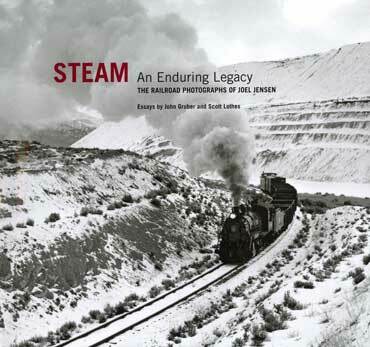 Steam: An Enduring Legacy is a timeless collection of photographs of current steam railroading throughout the American West that evoke a bygone era. These 150 dramatic and intimate black and white images celebrate the raw mechanical power of late 19th and early 20th-century technology. They also suggest the remarkable human effort needed to maintain it in the 21st century. Working steam continues to inspire awe, and the beauty of the surrounding landscapes captivates young and old alike. Hardcover, 160 pages, 12 x 11", 138 black and white photos.